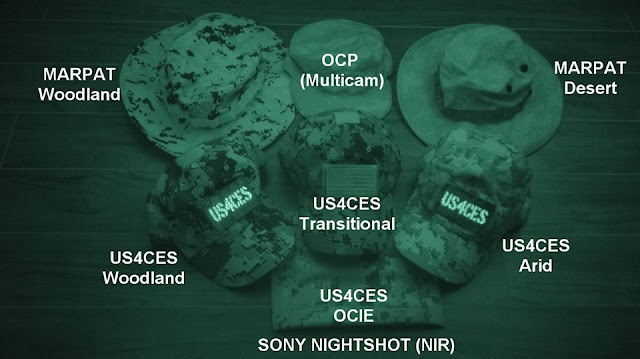 HyperStealth has released this comparative photo showing the US4CES Family of Patterns developed by Guy Cramer for ADS Inc. A couple months back, Soldier Systems Daily revealed that there was one family of camouflage patterns that excelled in one particular area being analysed. We have no clue what that was, but it wouldn't surprise us if extended beyond the mere visual perspective. 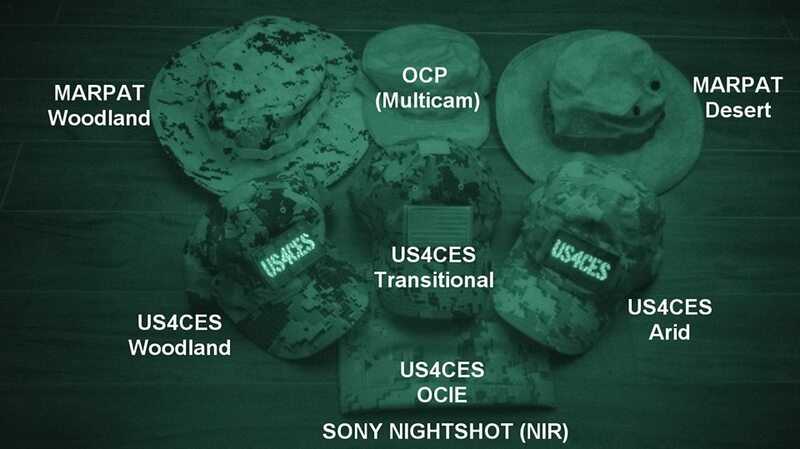 Below, you can see some of the baseline patterns for the U.S. Army Camouflage Improvement Effort along with the US4CES patterns in Near Infrared.